Henrik Johan Ibsen (March 20, 1828–May 23, 1906) was an extremely influential Norwegian playwright who was largely responsible for the rise of the modern realistic drama. His plays were considered scandalous in much of society at the time, when Victorian values of family life and propriety were still very much the norm and any challenge to them considered immoral and outrageous. Ibsen's work examined the realities that lay behind many facades, which the society of the time did not want to see. 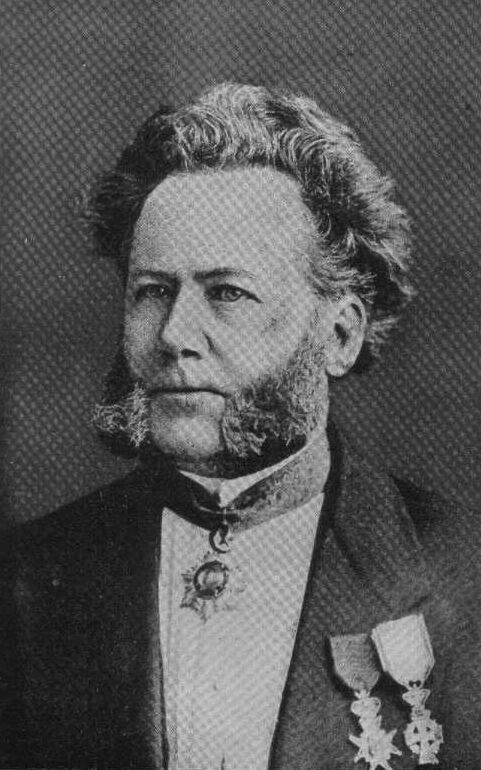 In a very real way, Ibsen created the modern stage, by introducing a critical eye and free inquiry into the conditions of life and issues of morality. Prior to him, plays were expected to be moral dramas with noble protagonists pitted against darker forces. This article is licensed under the GNU Free Documentation License. It uses material from the Wikipedia article "Henrik Ibsen".